Up next on the countdown are a trio of legendary film trilogies. All three are at least somewhat in the “geeky” realm, and all nine of the movies have been previously reviewed by Brian on his 100 Film Favorites series. For that reason, I’m gonna keep these relatively brief when necessary, and link to more passionate/interesting reviews and recaps than I’d be able to write anyways. So, in each of the next three articles, rather than write plot recaps or series retrospectives, I’ll just list ten reasons I love the series, then rank the trilogy. 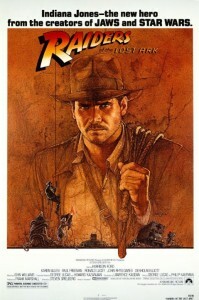 Today, the Indiana Jones trilogy (did you hear something?) and then my ranking of the three movies. 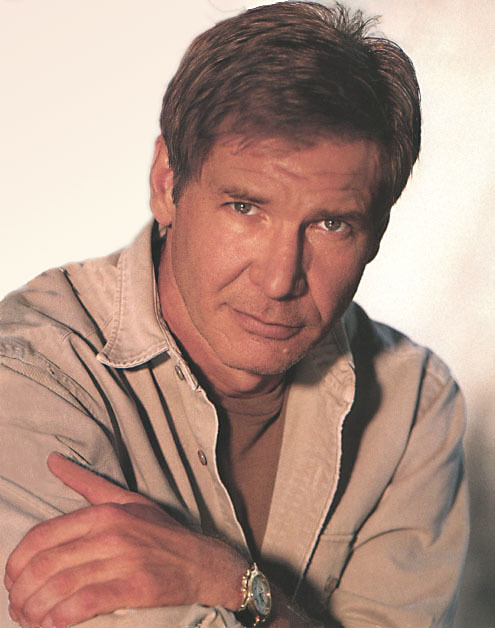 It’s hard to imagine any other actor so perfectly capturing the various facets of Indiana Jones’ personality or even a quarter of his gruff charm. Ford is a fearless physical actor and effortlessly funny. If he were a lesser actor, Indiana Jones would just be a rehash of Han Solo, but Indiana is more vulnerable and passionate. 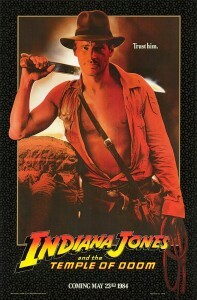 I don’t really think of Indiana Jones as action genre movies, but they really are THE action movies. When I re-watched Raiders the other day, I was struck once again how nonstop the thrills are, and how they all somehow manage to be creative and non-repetitive. Whether he’s in a fist-fight in a burning down bar or dangling from his his father’s arms, the Holy Grail just out of reach. The number one thing that surprised me as I was watching Raiders again (and flipped through a few scenes in Temple and Crusade) was how much effort the film puts into creating distinct, flawed characters. The two highlights are Indy himself and Marion, but pretty much every character gets a unique look and some trait or at least flourish. 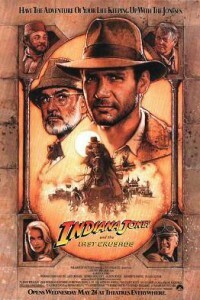 The Indiana Jones are as defined by their signature icons as anything else. The hat, the beige outfit, the whip, the red line on the map, even the melting faces. The series wouldn’t be the same without them. I’ve read a bunch of books about writing, and one suggestion that constantly pops up is: put the hero in a bad place. Make him face his flaws head-on. Then find a way to make it even worse. Spielberg and Lucas must subscribe to this policy, as Indy is beat up and humiliated and constantly thrown from bad situations to worse ones. 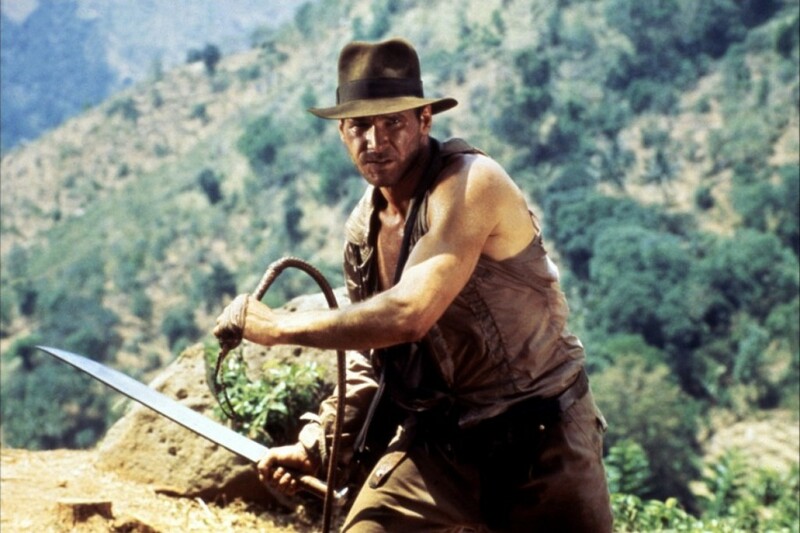 The scene where Indy is fighting two henchmen outside a plane is a great microcosm: That reluctant “f— me” look Ford has when the bigger, buffer henchman approaches him is the type of moment that makes Indy interesting and worth rooting for. Nazis. I hate those guys. But I love watching them get beat down by upstanding American heroes and having their faces melted off. It sometimes seems like a pointless endeavor to see action movies released these days, as all of the action seems to be based on CGI. Sometimes it’s refreshing to watch older movies that required use of physical props and effects. Watching, for example, a CGI-free minecart race through mines in Temple has a visceral danger to it that can be lost with CGI. 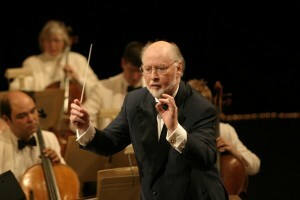 John Williams is probably the most famous film composer, and it’s films like Indiana Jones that made him that way. The theme (“Raiders March”) is the most famous piece, but I love “Marion’s Theme” and the “Parade of the Slave Children” and “The Penitent Man Will Pass” and… etc. One thing that each movie in the series has in common is a fantastic opening scene. All three are great, but the opening of Raiders is rightfully one of the most legendary openings in all of cinema — maybe #2 behind “Rosebud.” It’s a great, exciting introduction to Indiana Jones as a character and his world. The opening for Temple could just as well be the best scene from a James Bond movie, and Indy’s “origin story” in Crusade is a treat. 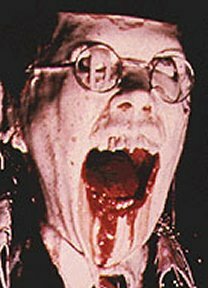 I was all prepared to discuss why this movie is underrated, but I re-read Brian’s tribute, and he does a fine job defending it. Temple really has such great action and conflict. It’s not at all a bad movie. I don’t mind the dark tone, but I do take issue with the fact that Willie is one of the most annoying characters in any great film. Just stop shrieking… for the love of God… But if you have a problem with Short Round, then you no nuts, you’re crazy! Sean Connery heals all wounds. The backlash against Temple of Doom was apparently pretty big, so Spielberg and Lucas brought the focus back to Indy’s roots and the comedic elements of his adventure. It makes for a hell of an entertaining ride with almost uncountable great set pieces. In my book, this is the finest conclusion to any film trilogy not about toys coming to life. I still get chills when Connery tells Indy to “let it go” and, a few minutes later, they ride into the sunset. The choice of the Holy Grail as the final archaeological conquest was a great choice. This is such a great movie it almost makes you want a fourth movie, right guys? Right? Without fail, whichever one I happen to have just watched becomes my new favorite. If I were to revise the list as a whole, I might well switch the two films. 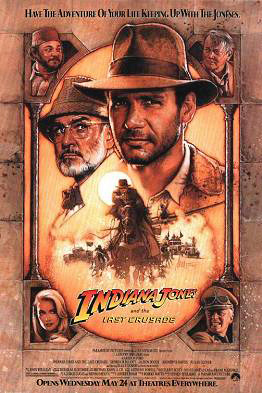 Last Crusade may be my real “favorite” of the series – the heavier focus on humor appeals to me, as does the increased character development compared to the earlier entries in the series. And yet, so much of Crusade relies on what came before, that tribute must be made to the one that started it all. 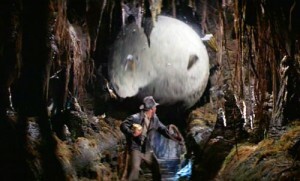 Raiders set the standard for Indiana Jones films to come: It gave us the “ewww…scary animals!” scene, the “main antagonist oversteps mankind’s boundaries and gets his face melted as a result” scene, and the “imposing goon gets horribly killed by some kind of mechanical apparatus” scene. Raiders defines the formula, Crusade refines it. I often prefer refinement in these cases, but I also feel like Raiders didn’t need any refinement. It so perfected the breakneck clip of action, the constant feeling of danger, the incredible look, the great characters, and so much more, that I have to tip my sable fedora to the original in this case. 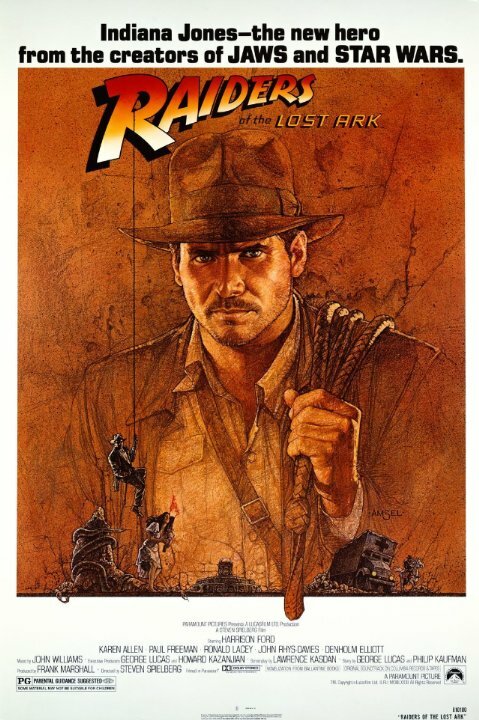 Both are favorites, but Raiders is probably in my personal top ten. Plus, I have a special place in my heart for Marion Ravenwood as Indy’s romantic foil — she tips the balance.